In home remodeling, it is often necessary to look at more than the interior. Macfadyen Design & Build Inc. can complement your existing house design with a beautiful new porch addition. 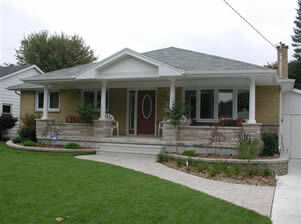 Whether it is the bare minimum, concrete patio, or something more extravagant, Macfadyen Design & Build will assist in developing a new floor plan layout for your backyard and come up with new patio ideas, in addition to doing the customary details necessary for your porch to be constructed. Another great way to add space to your home, and bring the outdoors in, is using screened porch additions. 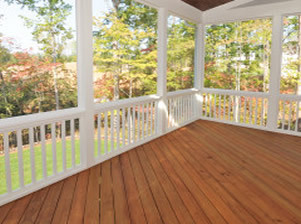 A screened porch will allow you to enjoy the fresh air, without the bugs or weather. It is also a great way to create airflow through your house, hopefully reducing the need for air conditioning. 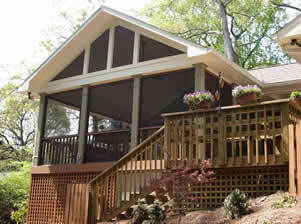 Another big advantage of a screened porch is that you are essentially creating another room at a fraction of the cost.